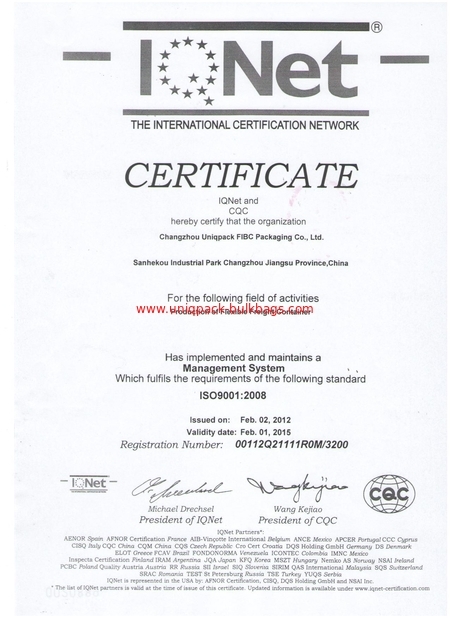 FIBC bag is made from polypropylene and UV protection. Flexible Intermediate Bulk Containers (FIBC bags) are made from pp woven fabric. 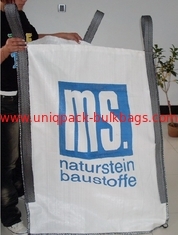 Bulk Bags are an economical and durable shipping solution. 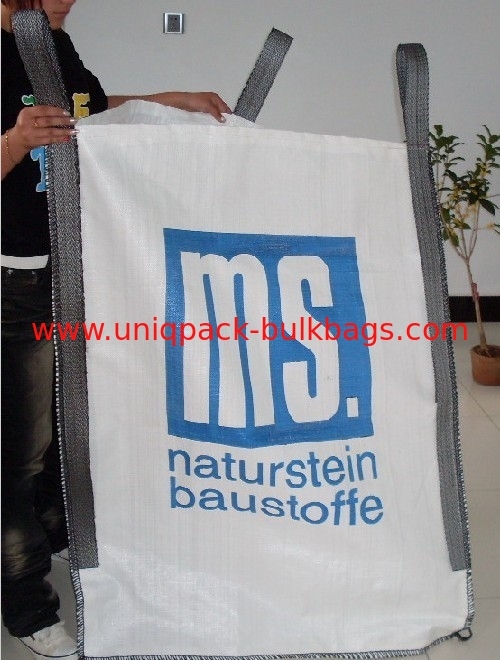 Each bag is customized as per your individual needs.Our clean room workshop building and professional R&D team allow Uniqpack to create samples and supply service to you immediately. Our flexible intermediate bulk containers exceed the 5:1 safety factor standard for our industry and come in a variety of styles, commonly designed to handle up to 500-2000KG. Our FIBC bulk bags are made from 100% virgin pp grade resin, add on UV resistance, excellent tensile strength, elongation, trapezoid tear strength and puncture strength. 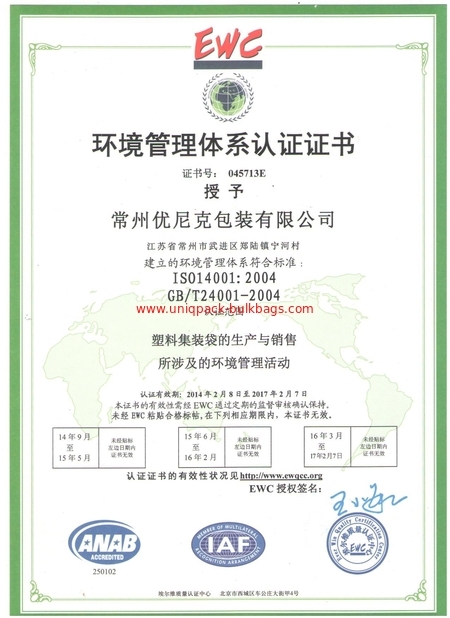 Our philosophy is to develop a long-term relationship with every client, assist clients to be successed , supply good quality product and delivery on-time.